Boeing is headed to the land Down Under. Australia's young space agency signed a partnership with Boeing at the 35th Space Symposium on April 9, 2019. COLORADO SPRINGS, Colo. — Australia's space agency is teaming up with Boeing to boost the budding space industry in the land Down Under. Australia didn't have a national space agency until about nine months ago, and it has one of the youngest space agencies in the world. Now, Boeing is going to help the country get its space program off the ground. To seal the deal, officials with Boeing and the Australian Space Agency signed a "statement of strategic intent" here at the 35th Space Symposium on Tuesday (April 9). Under the new agreement, the Chicago-based aerospace company will invest in research and development, innovation, education and other government programs that will help give Australia's space industry a boost. The country hopes to grow its space market from about $2.8 billion to $8.6 billion by 2030 while doubling the workforce of its space industry, Boeing officials said in the statement. "It means a lot that we've signed this agreement during a year when the world celebrates the 50th anniversary of the Apollo 11 mission to the moon, when both Boeing and Australia played important roles in that historic achievement," Jim Chilton, senior vice president for space and launch at Boeing, said in the statement. Chilton was referring to a tracking station that Australia built to help NASA communicate with astronauts during the Apollo missions. Boeing has also built several satellites for Australia's military, and the company works with multiple research partners in Australia, such as the Commonwealth Science and Industrial Research Organisation (CSIRO) and the University of Queensland. "This Statement of Strategic Intent highlights Boeing’s existing collaboration with CSIRO, universities and industry in broad areas such as space debris monitoring, advanced manufacturing and fuel production in space, on-orbit imaging, VR and remote spacecraft operation," Megan Clark, head of the Australian Space Agency, said in the statement. "This partnership opens the doors for Australian innovators to participate in the global supply chain of the space sector." 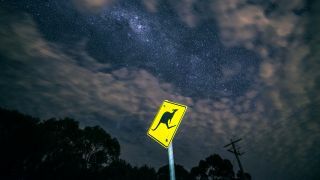 The Australian Space Agency plans to focus on developing GPS and navigation technology, Earth-observing satellites, communications, space situational awareness, robotics and automation. Not only will Boeing help Australia develop those technologies, but the company will also work to inspire the next generation of Australian rocket scientists to help ensure that the agency has a bright future ahead.